If you’re feeling unsure about your PCI compliance status, you’re not alone. Unlike industry-specific compliance regulations that state how healthcare clinics or legal firms need to handle sensitive data, PCI compliance covers an extremely wide range of businesses. Any business that processes, stores, or transmits credit or debit card payments and payment information in any capacity is subject to strict PCI compliance standards which dictate how credit card data needs to be handled and the precautions that need to be in place to keep that data secure. Failure to meet those standards can have serious repercussions, from penalties and fines to legal action in the event of a data breach. At the end of the day, PCI compliance demands are far from unreasonable and aren’t particularly complicated to meet as long as your business is already following the security best practices you should be following regardless. All PCI compliance is really asking you to do is take steps to protect the privacy of your clients, and ensure that any and all credit card information that is generated, stored, or shared by your business is kept safe from unauthorized access or use. These are most often the exact same steps needed to protect your systems and network as a whole, which helps to make reaching and maintaining PCI compliance a relatively straightforward endeavor. This is, it’s straightforward for those who understand the nuances of cybersecurity, the specifics of PCI compliance, and how those specifics apply to your particular business. The types of safeguards needed to meet PCI standards can vary depending on a few different factors, such as the level of access your staff needs to PCI protected data, other industry compliance standards your business is also subject to, and the components of your IT infrastructure. A common oversight of businesses in the hospitality sector, in particular, seem to be vulnerable to is the way they approach customer Wi-Fi. While most businesses know the importance of having a separate guest connection available for non-employees to make use of, if that separate connection isn’t properly segregated from your internal network and secured, you’re creating a backdoor for an unauthorized user to gain access to your systems and the data they contain. More and more smaller businesses are finding themselves faced with the consequences of data breaches caused by cybercriminals. A lot of hackers aren’t particularly picky about the businesses they choose to target since it’s easy to turn a profit off of pretty much any bit of data they can get their hands on. Credit card information, in particular, is a highly valuable commodity on the dark web, and the more sophisticated and creative cybercriminals get, the bigger the challenges your cybersecurity measures need to hold up under. It’s situations like this that can cause businesses to question their PCI compliance status. You might feel sure that you’re PCI compliant, only to discover that there is a gap in your network security you would never have even thought to look for. Often, it’s not network security flaws that have the potential to create problems and jeopardize your compliance status, but bad security behaviors practiced by both yourself and your staff. Shared login information for a particular program or application makes it had to keep tabs on who is accessing what information and passwords that are written down and left out in the open make it easy for someone to walk up to an unwatched system and help themselves. Helping businesses avoid making the small mistakes that can lead to big problems is something Veltec Networks specializes in. We’ve taken the time to learn the ins and outs of PCI compliance, and how these regulations apply to a wide range of businesses of all sizes and specialties. 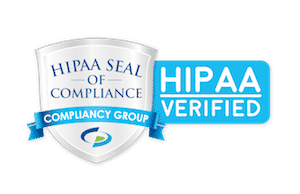 That knowledge gives us the ability to help you satisfy regulations and pass audits, and create and maintain a secure IT environment that protects your sensitive business data. The ability to withstand an attempted cyber attack is critical, especially where PCI compliance fines and penalties are concerned. The cost to a business that suffers a data breach can easily reach six figures, and that doesn’t even take into account the costs associated with the resulting downtime and the measures that then need to be taken to restore your operations and shore up your defenses. Penetration testing is a great way to find weak points and flaws in your network security before someone with less honorable intentions does. Making sure you’re PCI compliant starts with speaking to professionals who have the experience and resources needed to evaluate your IT environment from top to bottom. More often than not, it’s not a matter of what you might be doing wrong so much as a question of what you could be doing better. A few small changes to the way you safeguard access to your data or approach endpoint protection can go a long way towards guaranteeing that your business is PCI compliant. Not sure you’re PCI compliant? Get in touch with Veltec Networks today at info@veltecnetworks.com or (408) 849-4441 to find out more about out compliance consulting services. We’re the technology professionals that businesses in San Francisco Bay Area trust.